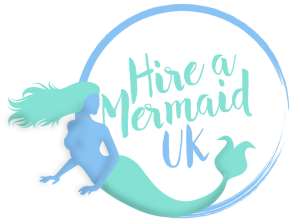 Whether you have your own pool or you’re hiring one out, we help create the most magical mermaid parties imaginable! Your mermaid will play a whole host of water themed games, as well as singing and dancing! Our swimming mermaid parties are the closest thing to being in a real life fairy tale. You’ll be surprised at how much a sitting mermaid can do! Your usual party games such as musical statues, pass the parcel, duck duck goose, pin the tail on the mermaid and much much more! Does your little one love all things sparkle? Then this party package is for you! Your little one will get a full mermaid makeover along with handmade mermaid jewellery that they get to keep forever! NEW! Has your little one always dreamed of being a mermaid? Then why not let our team transform them into a real life mermaid!? We will bring a portable studio, lights, photographer, makeup artist and a real mermaid tail for them to try on! We promise you one fully edited photo of each child plus 2 extras for the birthday girl! All included in the price. Available as an add on to any party (subject to availability). Plus you can buy more if you wish. Please contact us to discuss your exact needs!